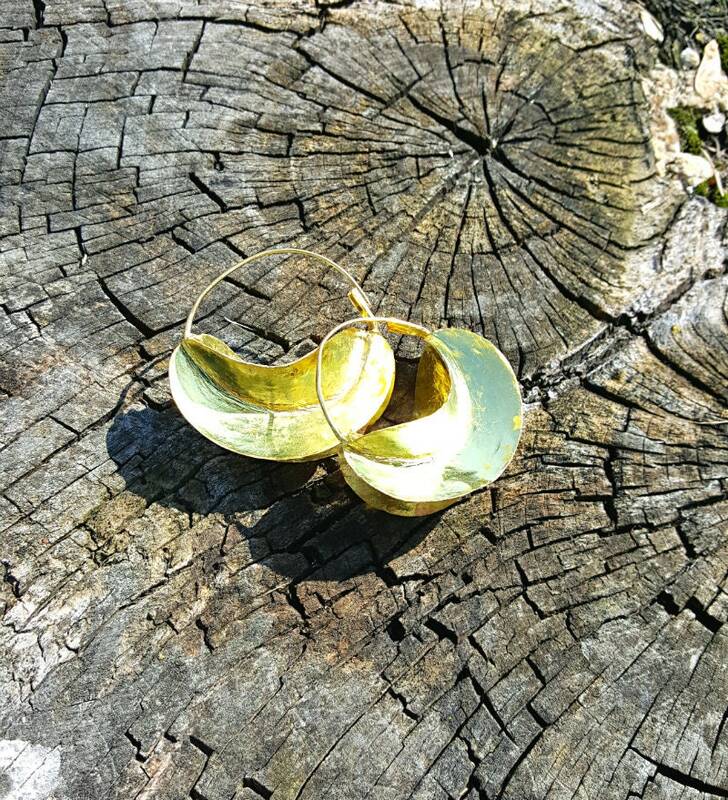 Based on a design that has been worn for centuries, our lightweight earrings are handcrafted from hammered bronze. Highly prized and sought after. Hi, thank you - yes I have received them and they are stunning!! !.., Austrailia. Beautiful earrings! Size and weight were exactly as I hoped. Arrived in decent time and was well-packaged too. Smaller than I expected. I’m a big hoop girl. But still cute. Took about a week to ship. nice earrings, however the wire that goes in the ear is a bit flimsy.